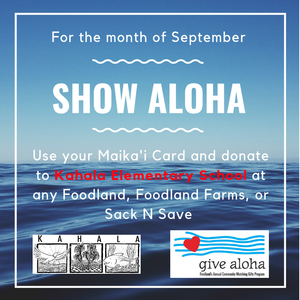 This September, Foodland will match a portion of your donation to Kahala Elementary School when you use your Maika'i Card at Foodland, Foodland Farms, or Sack N Save. Check your child's Friday Folder for more information. 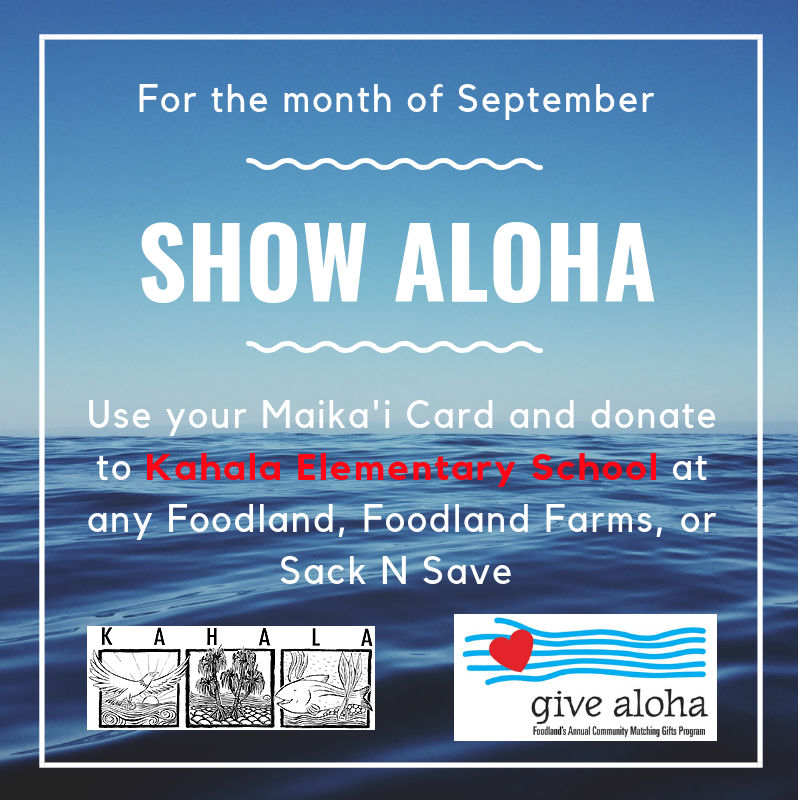 Mahalo for your participation!